IF I win I will feed the squirrels and birds I need reliable car pay bills help homeless people . T C B and thank my family and friends and all that made this all possible . I TRYING to enter. Did I accept this great – let me know. Yes Indeed I Debra Patterson Claim Gwy #11000, I am Claiming my Final Compliance Entries for PCH and the Mega millions , for Award on November 30,2018 . $2,5000,000.00 with Gwy Numbers #11000, #9972 ,10074, Code PCH-1 W-29 W-24 WK-30 PCH-50, W-34. Please Activate my Final Compliance Entries :382-11-50. Thank you God bless and Please PCH and Prize Patrol Elite team knock on my door . With love DP in Texas CCLake. I Ulises Zacarias want to claim sole rightful ownership of said prize number and all prize monies it may win for its owner from this notice and claim my final step win the exclusive prize from Pch giveaway no 11000 , win $7,000.00 a week for life and claim my upgraded prize amount $8,500.00 a week for life and claim my PCH GWY NO. 9971 WIN $2,500,000.00 MEGAPRIZE AND CLAIM MY FORTHCOMING MEGAPRIZE NUMBERS ENTRY TO WIN AND CLAIM MY 7X ENTRIES TO WIN FROM THIS NOTICE AND CLAIM MY ACCEPTANCE DECLARATION MAKES ME FULL ELIGIBILITY TO WIN FROM THIS NOTICE. (7169 3779 2957)(3169 6339 8263)(1967 2252 9717)(9162 9477 4919)I claim my Prize Number if there’s the right one to Win $2.5 Million MegaPrize Gwy,No,9971 on 11/30th.Sorry I write down all my Prize Number,because I don’t know which is the right one. My name is Priscilla Garrovillas, one of the Elites Contender for PCH Claim Gwy 11000;I’m calling your attention that today, 11/18/2018, I have accomplished the “search for the Nationwide Gwy 1100; I’ve been working hard for hours trying to comply with your requirements, wishing and praying to win a big sum of money. However. Thank you, God bless, Happy Thanksgiving to you all. Yes Indeed I Debra Patterson Claim Gwy 11000, and All other Claims I have entered for the Nationwide Gwy 11000 ,my Birthday is the 28 of this month, I am Hoping to get a lot of money. Thank you God bless, Happy Thanksgiving to you all. With Love DP in Texas CCLake. PCH I am claiming ownership and activate Upgrade Guarantee Certificate entries to win $8,000.00 A Week For Life, GWY #11000, 12/21/18. I want to win this prize. I AM IN IT TO WIN IT. Yes Indeed I Debra Patterson Claim Gwy 11000 upgrade from $7,000.00 A Week For Life Gwy 11000 ,to WIN it on December 1st . For $8,000.00 I Debra Patterson Claim and I absolutely except Upgrade Gwy 11000 Gwy 10074. please Activate my Final Compliance Entries for Gwy 11000,Gwy 11002,Gwy 10074. Thank you God bless. With love DP in Texas. Will not allow me to enter the code. Oh Yes I am really ready to win GWY # 11000 December 21st 2018. 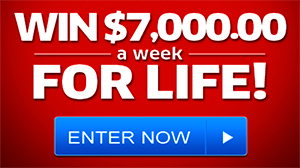 $7,000.00 a week for life and super Prize one Million cash. I would buy a car that I really need, and a home that my health needs very much. And all the furniture that I need for the home. I also want to buy dog to go with everything that I really miss. Yes I am a A PCH VIP. Thank you so very much. please activate my pch code so i could win oct. 26 2018. thank you pch sweepstakes. I tried to enter my notice W716 activation code but it would not accept SP607. Would someone be so kind to assist me with this. Thank you for your assistance in this matter. It is greatly appreciated. i’m having a problem, try to input my activation code, received by from pch in mailbox. it doesn’t work. reseting my browser and cookies, can you please help. i would love to win 5,000 a week for ever are any of the prizes. i’m a single grandma taking care of my three grandsons, the oldest want to be a doctor. he was hit by a car, he is doing better. it was touch and go lots of medical bills. the money i can put away for his college loan and get a bigger place to live for all of us. also buy a suv car, it is hard getting around without a car. but we are bless and we are happy for what we have. Wow I don’t have a card with the code, still play though. Inittowinit! Always something to hinder my efforts. I’m writing you about problems I’m having with your site at www-pch-com-actnow. 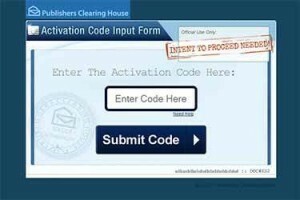 Since last month, when I try to input my activation code received by mail from Publishers Clearing House, it doesn’t work. Everything freeze and your software input box doesn’t send my PCH activation code. I’ve tried everything like reseting my browser history and cookies. I’ve even try with three browsers Chrome, Firefox and Edge. Nothing works! Considering all the comments about it, I’m starting to thing that the problem is on your side. Maybe this has something to do with the operating system; that I didn’t test! Could you please have a look, if there’s a compatibility issue. Thanks S. Walton Retired US Army Engineer. I want to win $5,000.00 a week forever from (PCH Giveaway No. 11OOO) on October 26,2018. PCH Search & Win … The final step is required … Please I want to complete the final step to ensure my full compliance and eligibility to win the (PCH Giveaway No. 11OOO) prize of $ 2,500.00 a week forever in game + win $ 5,000.00 in cash as part of the week of access to the PCH awards. PCH Frontpage. I want to win $ 2,500.00 a week from PCH Gwy. No.11000 on October 26, 2018. Thank you. Search #5…PCH Search & Win…Final Day… I want to win $1,000.00 a day for life on August 31 & win up to $10.000.00 over $20,000 prizes guaranteed to be awarded on PCH Pay Day. Please active my entry for the win. Thank You. 1- I want to claim 3x/3XEntries to win $1,OOO.OO A Day For Life from (PCH Gwy. 11OOO) on Augus 31, 2018, during a special early look event. 2- I want to claim 3x/3X Entries to win a $1,OOO,OOO.OO Exclusive VIP Prize from (PCH Gwy. 11812) on August 31, 2018. Please Prize Patrol pick me much love forever ! GOD Bless me Please! PCH Search & Win Special Advisory. Exclusive cash prize … I want to claim my entry number 3 to win $5,000.00 and my eligibility for the prize. Bulletin will be eligible for our $5,OOO.OO. A-WEEK “Forever” Prize (GIVEAWAY NO.8800). OUR $1,OOO,OOO.OO SuperPrize GIVEAWAY No.8035). A $25,OOO.OO Prize (GIVEAWAY No.8184). And our State Prize (GIVEAWAY. No.10837). I’m looking to be the winner of the PCH $1,000.00 a day for life. It would be a miracle blessing. Thank you PCH for changing so many lives. 1 am claiming my Entry 1 million VIP. Exclusive. Gold Number Claim Certificate…PCH Search & Win …I, Milagros Garcia Chooose to Definitively claim my unique prize number and full eligibility for win the prize $ 1,000.00 a day for life, on August 31, 2018 the Lifetime prize from (PCH Gwy No. 11000). PCH Search & Win…Final Notice. PCH I want to claim ownership and active entries to win Mystery Prize Mania $100,000.00 Prize, 8/31/18, GWY #10074. I want to win this prize. PCH Search & Win…I want to win $10,000.00 Towards my bills (PCH Gwy. No. 11936) Please claim my entry for win the prize. Thank You PCH. PCH Search & Win…I want to win $ 3,000.000.00 Towards My Dream Home (PCH Gwy. No. 18000 Mystery Prize Mania) Please claim my 2x entries for win the prize. Thank You PCH. PCH Search & Win…I want to win $ 20,000.00 (PCH Gwy. No. 12253 Mystery Prize Mania) Please claim my 4x entries for win the prize. Thank You PCH. PCH Search & Win…Yes, I wish to claim full eligibility to win $ 1, OOO.OO A Day for Life and authorized the award, during the first special look event on August 31, 2O18. Thank you. The Activation Code space is not receiving my Code. I want to win $15,000.00 CASH PRIZE (PCH Gwy. No. 11936). I want to win $50,000.00 CASH PRIZE (PCH Gwy. No. 10074). I want to win $1,000.00 a day for life (PCH Gwy. No. 11000)on August 31, 2018. Please let be me win the $1,000.00 a day for life from PCH on August 31, because I want to help my neighborhood out because there is no stores around here hardly No where close by or where to go out to eat. 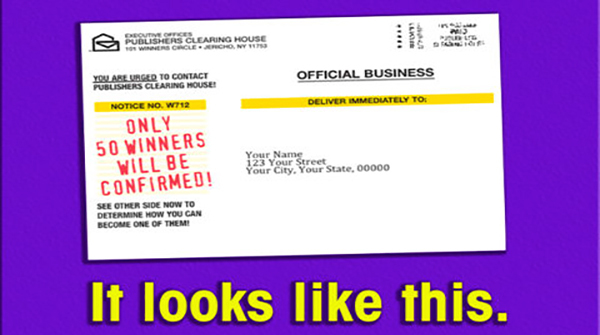 Yes I would love to be the winner of the Publishing Clearing House Sweepstake the $1, 000 a day for life it would be a dream come true. Please accept my mandatory compliance to place my super prize number on winners list to win $1,000.00 a day for life please guys help me out and tell how to fix this so I am begging to accept my prize number and put it on the winners selection list so I can have my numbers win $1,000.00 a week for life plus more thanks. I would love to win the pch search for $1,000.00 a day for life Gwy 11000. I am searching for this week and weekend. It is the best games lottery and search there is. PCH Search & Win Final Step. Please send me my code number so I can win. but couldn t. I still hope this will do. Theirs a PROBLEM!I can’t get go!to claim it! I would love to win the the $1, 000 a day for life. YES. YES. YES. YES.! Sure what to win and not work paycheck to paycheck. I think this is what needs to be done? My mom always said if it’s easy your probably doing it wrong. Nothing good comes easy. Please activate my code pch336 or it’s JUL18 . Regardless right or wrong. I sure tried! God bless you guys for all the amazing things you do! PCH Frontpage, Complete my number forthcoming prize to win $1,000.00 a day for life. Thank You. Please enter code I sure like to win thanks. I’m sorry I copied it to translate and then I shot it without realizing it. It is quite simple, but these instructions MUST be followed for you to continue as owner of this Prize Number! We also have even more incredible news! The Prize Patrol will be ready to take back a Title from a Lifetime winner from the bulletin and in return give up to $25,000.00 Cash as a Bonus! As if a winner of $10,000.00 A Week for Life wasn’t lucky already, imagine getting up to $25,000.00 CASH on top of that! So please, if you receive this Bulletin, return your number by the date specified in your bulletin…and you could become a fantastic SuperPrize Winner in our Special Early Look prize event on November 25th! If you did not get one of these letters in the mail, it isn’t too late for you to become a winner of $10,000.00 A Week for Life! Entries at PCH.com are still being accepted until the November 17 deadline, so make sure you go there today. Remember, you’ll also be eligible to win with your first logged-in search of the day at PCHSearch&Win! Going for $1 million plus cash plus new ford explorer. I want to win the $1,000,000.00 plus $1,000.00 a day for life and a brand new Ford Explorer. Being optimistic drives this entrant to keep on! Winning A $1,000.00 a day sounds great lets do this. Not easy as your video claims. Trying to submit the (Activation Code) seems to be a bait and switch move to sell additional items. I already have more magazines than I could possibly read and or review over months, so I donate them to my hospital and clinic for patients and waiting appointment people. As a retired person this adds up to other things to do. Clever idea. How much $$$$ does the advertising for this exercise cost? Impossible to enter my codes. PCH is just another online scam to force and trick me into buying extra stuff. 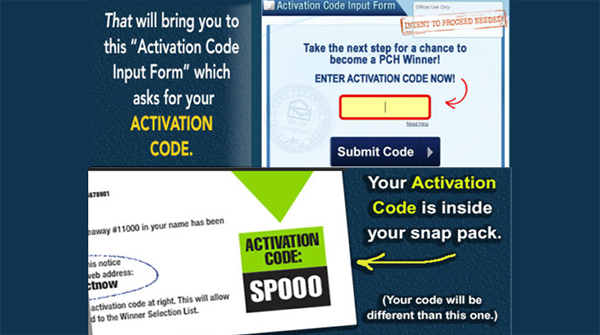 Please submit my activation code SP661, tried to enter it but form would not take code, please enter my code. I love to win $1,000.00 a day for life i can pay my bill i do not have a code please send me one. ACTIVATION CODE SP664 NOT LETTING ME SUBMIT . BUT WOULD NICE TO BE THE NEXT WINNER. my code is sp596. this is my final attempt. I was supposed to submit my code by 7/26/18 but I was out of town. this has been unfair. you have us jump through hoops to make purchases in hopes of winning. I am wondering if this is just a ploy for us to make purchases. I read names of those who have won, but it is just a name and a picture and that is it. Well today is the day between 12 pm and 3pm. let see how it goes. If there is nothing there today, I will tear up pch and put it in the trash. that is where you belong. I am very frustrated. you play with our emotions, and it is not fair. I would love to win 1,000,000 plus 1,000 a week. Entry# 11000., so that I can be a blessing to others. Please except my entry. Barbara activation code is SP597, we haven’t been able to find a place to submit it. Got a final chance notice by mail but couldn’t find any place to key in the activation code. The contest final is June 29th for GWY #11000. I did not find the place to enter my activation code if this is correct my activation code is SP596 or I need help other wise I will stop purchasing. Our family is awaiting your arrival! We will tithe and invest the monetary blessing.! The prize amount Stated Above from this Notice. Entry for $1,000,000.00 plus more. Thanks! 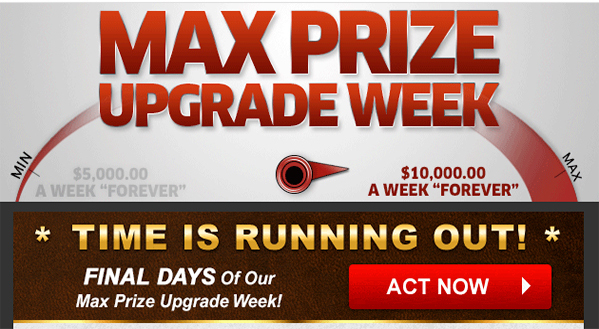 Entering to win $1,000,000.00 plus $1,000.00 a week for life! i would pay all medical bills and help my 3 grandsons get their education ! I thank the GOOD LORD FOR THIS DAY !! !